Melbourne Institute of Massage Therapies (MIMT) in Heidelberg. Annette is a member of the Association of Massage Therapists. HICAPS – Current health fund rebate status with all Private Health fund. 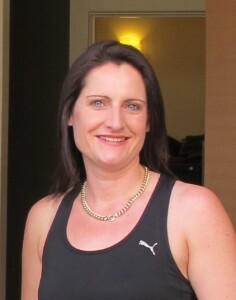 Annette is a dedicated qualified Myotherapist / Mindset Coach Toorak. This allows her to provide a whole mind and body experience. Annette is very passionate and knows first-hand experience how myotherapy, remedial massage and mindset coaching can assist on many levels. She finds it deeply rewarding to be able to offer these services to our clients. She is an excellent communicator and empathetic listener, and upholds the highest standards of discretion and professionalism at all times. Her clients are a diverse group, covering a broad range of ages. Annette has worked through her own injuries and emotional blocks over the years and wants to assist people into getting back to what they were doing and even more! Annette is experienced in treating a wide range of conditions including Shoulder impingements, headaches, neck and back pain, sciatica and muscular aches and tightness associated with overuse or poor posture. Annette also enjoys working with clients on an emotional level to release dysfunction in the body and mindset laser coaching to enhance performance. Over this time Annette has performed countless clinical treatments and built up a dedicated group of regular patients in Toorak, Prahran and South Yarra. They include Cancer, post injury, Sports Injuries, Pain management and Rehabilitation post operation. Annette’s Myotherapy Toorak clinic has become highly recommended by locals and is highly reputable and professional.